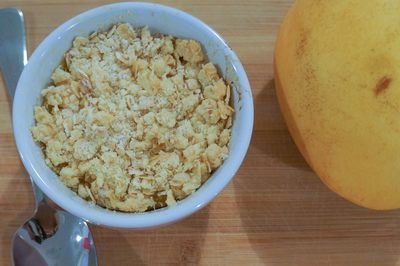 Combine mango, zest and lime juice in a bowl. 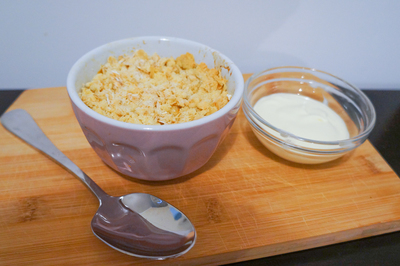 Spread mixture in to a shallow oven-proof dish or amongst four individual dishes for something cute! Combine flour, oats, coconut and sugar in to a bowl. Rub in the butter with your fingertips until mixture is the texture of crumbs. 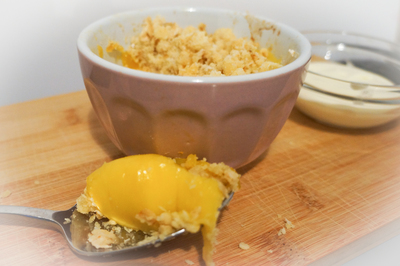 Crumble mixture over the top of mango. Bake for about 15 minutes or until topping is golden. Serve with a dollop of whipped cream or ice-cream!